In a week, the top SD-WAN companies in the world will converge on South Florida. Bringing together the best of the best in this burgeoning space to offer attendees all the software-defined insight and education they can handle, SD-WAN Expo is a platform for those involved in, or curious about implementing a software-defined approach in the WAN to drive the industry forward. Industry trailblazer, Versa Networks, is set to put its Cloud IP Platform on display in booth 230 at the inaugural event. And, Head of Product Marketing for the SD-WAN provider, Robert McBride is taking part in a panel discussion to illuminate network evolution. It was not long ago when McBride took some time to sit down with me to discuss the status of SD-WAN, and the panel “Network Evolution in the Cloud Age” will explore this up-and-coming technology’s validation further. Moderated by TMC’s Paula Bernier (News - Alert), and joined by BigLeaf Networks CEO Joel Mulkey and VP Business Development XRoads Networks, the discussion will revolve around the reasons why migration is accelerating, and best practice in doing so. The panel takes place on 2/14 at 10am, and is “must see TV.” There’s myriad of reasons as to why expectations for SD-WAN are through the roof, but like with any transformational technology education is always an early hurdle. Today’s software-defined networking solutions are more agile, user-friendly and cost effective than legacy fixed hardware appliances. The cloud age is upon us. The reality is simple; we exist in a SaaS (News - Alert)-tastic world, which demands exceptional network performance in addition to security. 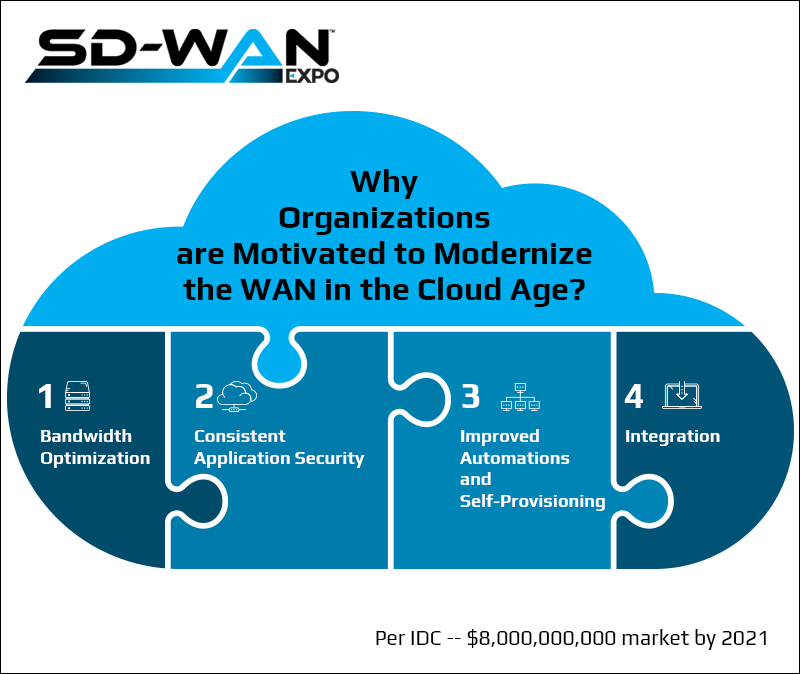 SD-WAN is a truly transformative technology enabling a new day in networking, and events like SD-WAN Expo are here to show you how to harness its power for your organization.